Welcome to A Sampling Bee! Today, I share with you Laiki Rice Crackers. These rice crackers are gluten-free and contain only simple ingredients. 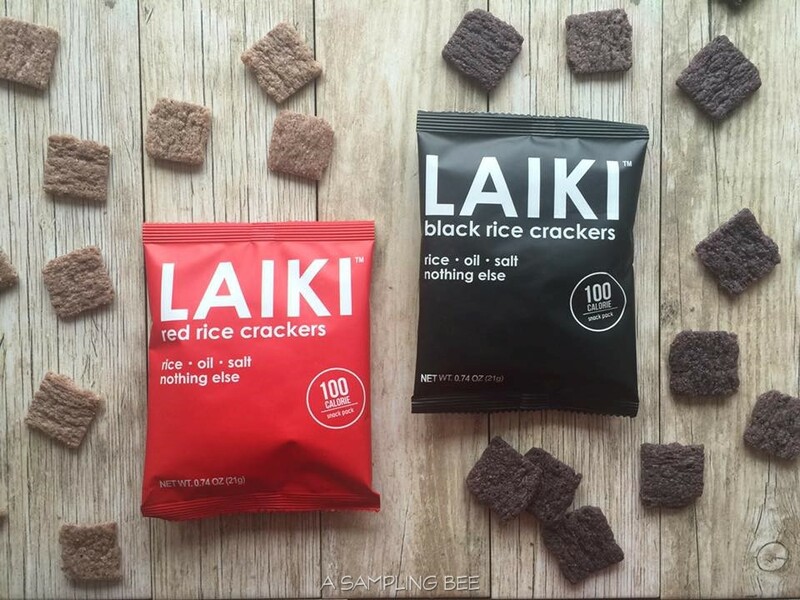 Laiki Rice Crackers are full of flavor and pack a satisfying crunch! 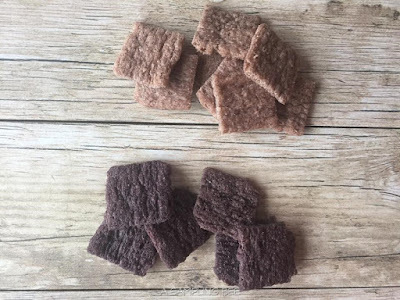 Laiki Rice Crackers are made with red and black rice. Laiki only uses red and black rice from farmers in Thailand. 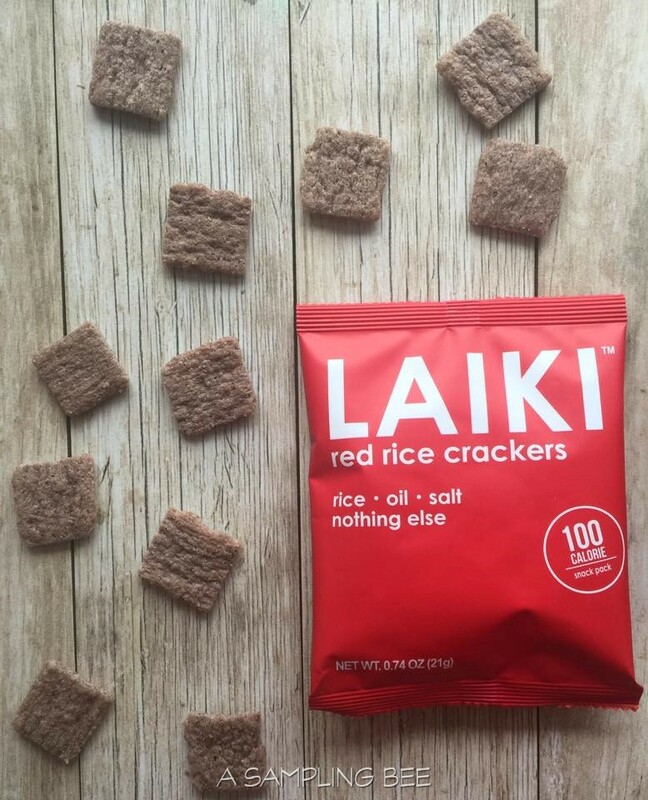 Laiki Rice Crackers contain more phytonutrients, antioxidants and flavor than white or brown rice. 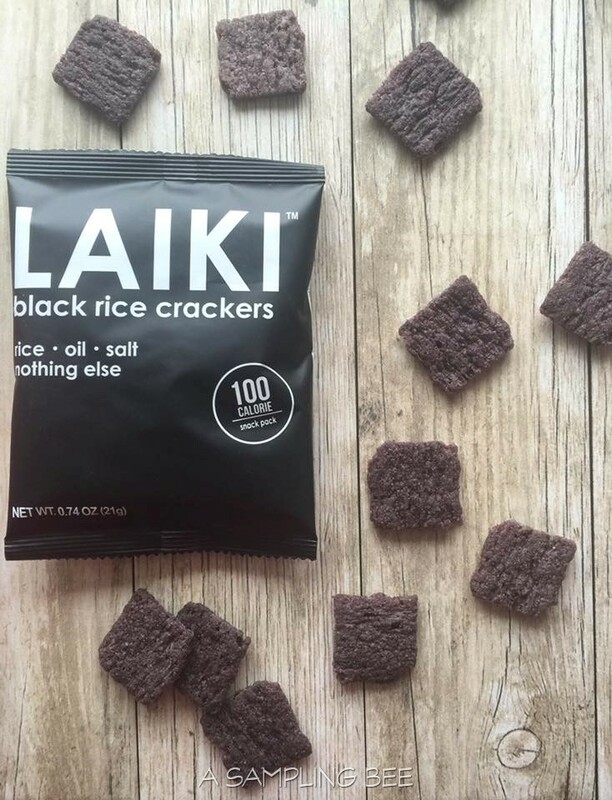 With only 3 ingredients, Laiki Rice Crackers are naturally gluten-free, vegan and allergen friendly. Just 100% guilt-free, wholegrain goodness! 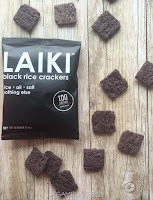 Laiki Rice Crackers contain either wholegrain black or red rice, sustainably farmed palm oil and sea salt. That's it! No artificial flavors or preservatives. These rice crackers contain NO sugar. Sodium content for 16 crackers is 80mg. Total carbs- 13 grams. Contains 2 grams of protein. This yummy snack is non-gmo. I love them because they are different from most snacks out there. The rice crackers are very tasty and crunchy. They have a great flavor to them and that flavor keeps me wanting more rice crackers. I normally like anything that is made with rice. Especially crackers. I really like Laiki Rice Crackers. They're amazingly good! I think of these as Bugles, only much healthier for you. 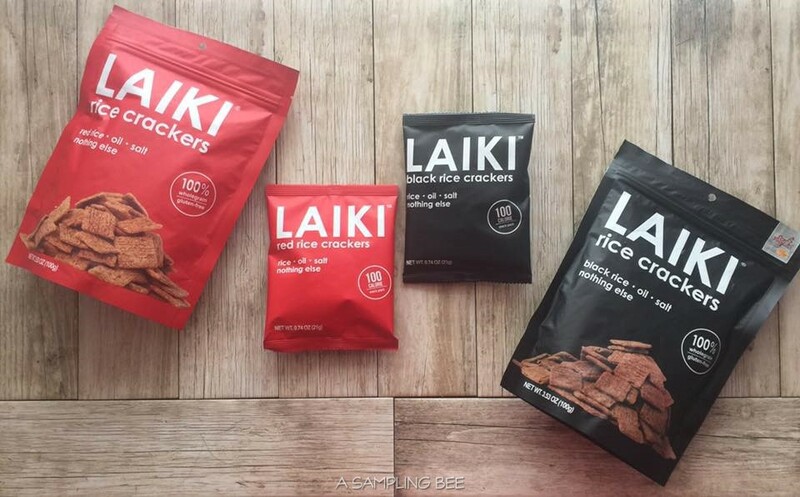 You can purchase Laiki Rice Crackers in a standard 3.53 ounce package or in single serve 0.74 ounces. The single serve option in 100 calories. 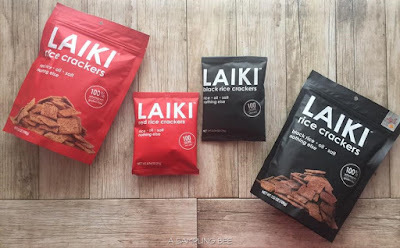 I received Laiki Rice Crackers in exchange for my honest review. All opinions are my own. Always! Those sound really good. My kids would love to snack on these. These seem like they would be a good on the go snack for my kids! Will see if I find them in the store! These sound like wonderful snacks. I think the single serve packages would be perfect for me. Never heard of these crackers but I would love to try them! Also love that they're gluten free! I love rice crackers, I definitely go for them every time I find one in the grocery. This brand is new to me, and it's really something that I'd try. Thanks for the review. Rice crackers are typically unwanted and I'm sad for them since I love them especially the Snacku brand. This Laiki looks appealing, I've yet to try it but thanks for the recommendation. I've eaten some rice crackers before but I never thought that both red and black rice crackers can be delicious! I heard that red and black rice are healthier than the regular white rice. I am a rice lover and I can't wait to try these rice crackers! I like non-gmo snacks plus the fact that these snacks came from rice, not just an ordinary rice but red and black which are healthier! Now that's a healthy crunchy snack. I like that they are gluten free so I can eat them! I have never heard of these before. I do love rice crackers though, so I bet they're good. I'll have to check them out. I'm always looking for a healthy option for snacks. Laiki Rice Crackers look like it would be the perfect on the go snack when hungry throughout the day.